HD Channels are an optional upgrade with our Entertainment Package and may not be purchased as a stand-alone service or with our basic lineup. Additional TV packages require the Entertainment Lineup and a set-top box. 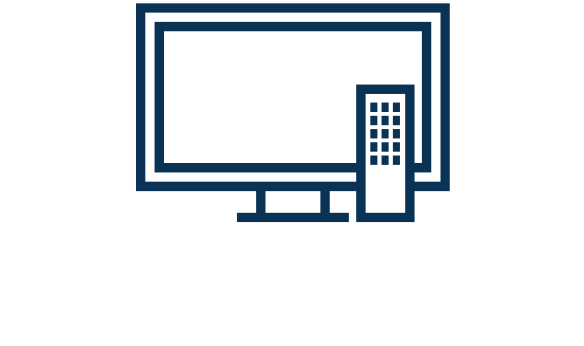 Contact a CTC rep for TV options, package pricing, and additional programming channels available in your area. *Set-top box required for Digital Basic. Set-top box required for Big Value Tier. Set-top box required for specialty channels. *Available in HD with RedZone Subscription and our HD Lineup. Set-top box required for movie packages. In order to receive the HD movie channels seen above, you must subscribe to the HD Lineup and the included movie package.